Dave got fed up again by around April and so it was time to get another drummer. After several weeks of auditioning the crappiest drummers they'd ever heard, 17-year-old multitalented musical prodigy Kian Chanter joined in May. Within weeks of joining the band he'd written a soulful new song with Phil and Nimesh (who was by this stage shoehorning in some disturbingly good Oasis/John Squire-type riffage) when Tony didn't show up for reheasal one evening. Zizi also started to bring her quirky, effervescent songwriting and sweet voice into the set and the group were all set for a great summer with recording sessions and great gigs booked up into the autumn. This was pretty much the band's peak. The summer was promising. Returning to the mighty Slap Studio in Brixton with Rory O'Farrel and Simon Smith at the controls again (quality guaranteed) for a week-long stint of dope, Pringles and sweet alternative Britrock, Monophobia laid down their three best recordings ever: Tony's joyful indie classic Wasted, Kian's soulful studio debut Inside and Zizi's Blur-esque power-pop bouncefest Devil's Eye. Beats were laid down for an upbeat gig opener called The Big Picture penned by Phil, but this remains unfinished to date. 2007 RETROSPECTIVE: Tony and Phil did attempt to complete recording of The Big Picture in 2006 for old times' sake, but couldn't remember the chords! Straight from the studio the band were due onstage that August Bank Holiday for their first open-air gig in Carshalton Park which saw people actually buying Monophobia CDs in front of the stage (Indian Summer and The Clubland EP)while black-hooded nu-metal kids breakdanced in front of the stage to Clubland. There were more studio dates lined up plus several autumn gig dates at really good venues around London. CDs were finally being ordered (from this website) and the band received their first airplay on an independent European radio station... and were being requested heavily! It looked as though 2002 might actually be the year for Monophobia... until that most ancient of Monophobia curses - THE SETBACK - returned with a vengeful fury and thrice multiplied! Mixes for a couple of newly-recorded songs (intended as b-sides or album tracks) had come out rather below par. Not necessarily any fault of the engineer, more likely a case of "too many cooks" on the production team. Zizi Schuh left London in September to continue her studies in Munich leaving Monophobia without a key member of the band. By the time the band found another keyboard player (Peter Jackson), drummer Kian had packed up his sticks to join a covers band. Monophobia's most creative line-up (to date) had vanished within a month. 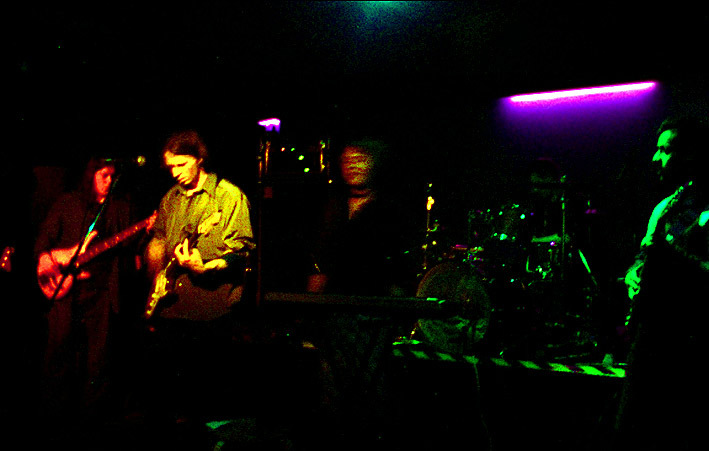 Autumn 2002 was supposed to be the season that saw Monophobia playing gigs every week, but the band were disintegrating faster than they could reform. Dave Bateman put in a sudden brief return to the band, but not before the remaining members had started coming apart over some fundamental musical and motivational differences. Phil found the band's recent tendencies towards a more casual work ethic and the introduction of more regressive trad-rock/jazz influences into the band's sound undermined the more original and modern new wave/Britrock sound that he had been trying so hard to achieve since 1999. For this and other reasons he finally gave up and left his band that winter to concentrate on studying music production at college. Peter Jackson left shortly afterwards to find a band with aspirations beyond playing pubs and rehearsal rooms. Tony and Nimesh since got together with drummer John Gaine and bassist Rob to reform The Honeymoon's Over. There were several rehearsals in 2003 and one or two gigs but band meetings became scarcer and the band fizzled out again by 2005. Phil and Dave have since gigged/recorded with Mickey Winn & The Shady Grove in 2001 and 2003. 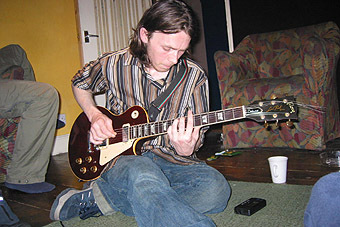 Phil also played gigs with Mickey Winn at The Bulls Head in Barnes, south London in 2006 and in Brighton in 2008. Dave continues to play frequently with both original and cover bands. 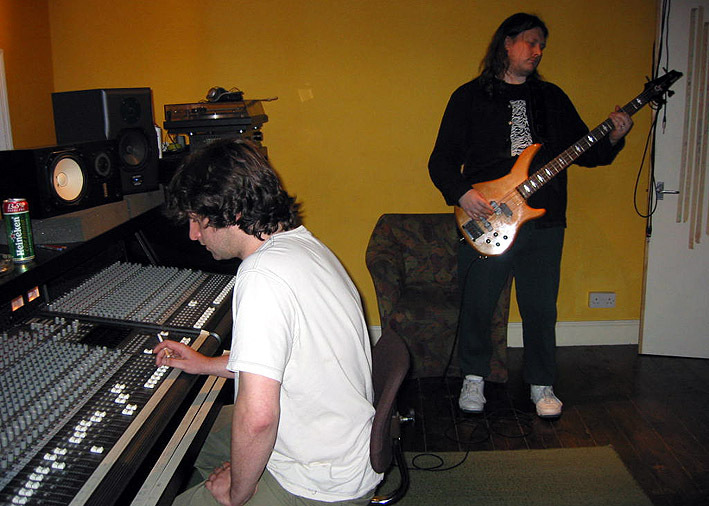 Phil and Dave recorded demos with one of Dave's old bands, Gnap, in 2005 and 2006. 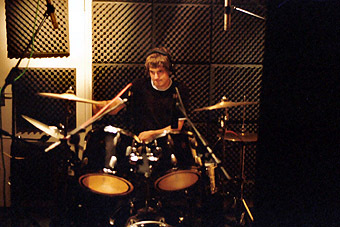 Phil Quinton spent 4 years recording music and demos with erstwhile Space & Half vocalist Steve Pelly under the name Spaghelli before being joined by ex-Monophobia drummer Dave Bateman and ex-Monophobia/Jeray/Dislocated Thumbs guitarist Steve Hearne to form Spaghelli and the Dogbytes in 2006. An EP was recorded in 2007 and they played a headline slot at The Flag in Watford in 2008 before splitting due to Pelly's borderline alcoholism. 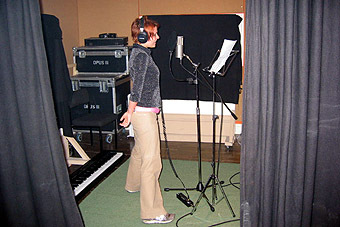 Zizi Schuh fronted German electro-indie band Samson who went from strength to strength after she joined in 2003. 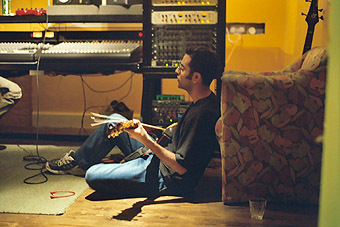 Phil recorded some songs with the band in 2005 which surfaced on their latest E.P. Home. She now studies music in Austria. Kian Chanter became lead vocalist and guitarist in Uxbridge-based indie band The Frantix who were very good, and he has sinced been headhunted by an older band from Ireland. Todd Suggitt returned to teaching in Canada and played drums with songwriter Sean Brown. Steve Hearne formlerly took centre stage with old-skool punks The Phugs A.K.A. Dislocated Thumbs, who played dozens of gigs all over London and have a substantial internet presence. He last played guitar in Phil's last band The Dogbytes in 2008. Bryn Rosenwould is now the head of sound at Venue Cymru, a theatre in Llandudno, North Wales. Phil has gone back to amusing himself in the studio like in the old Watford days of Monophobia, bringing in friends and family to chip in with the odd recording. Thanks to the internet he can now be ignored by billions of people worldwide instead of just a few dozen student friends. Check out Mr Dogbolter or Cold Steel Blizzard on MySpace.